Home Arts & Culture Purely Belter Reunion Goes Viral! Purely Belter Reunion Goes Viral! 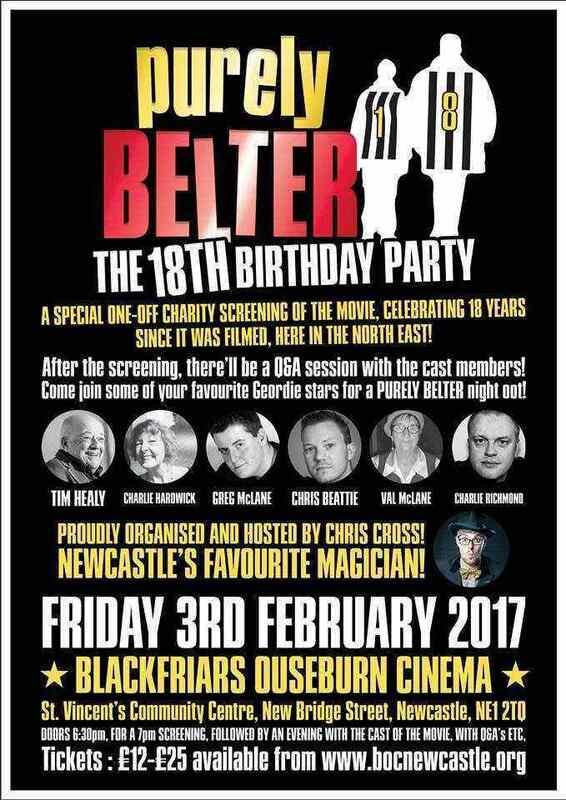 YES… It’s 18 years since PURELY BELTER was filmed here in the region. A story of two lads trying to raise money so they can buy season tickets to watch Newcastle United play at the hallowed St James’s Park. Chris Cross & Chris Beattie have starred in a video follow-up to the movie ’18 years Later’ as a ”Where are Gerry & Sewell now?” kinda thing. The video was uploaded last Friday and has since gone viral around the North East with over 30,000 views on social media. Both movies were filmed on location in the North East and feature local landmarks such as; The Angel of the North, The Spanish City Fairground, St James’s Park, Kielder, Metroland, Northumberland Street, The Quayside, Grey Street and many other well known spots around the region. 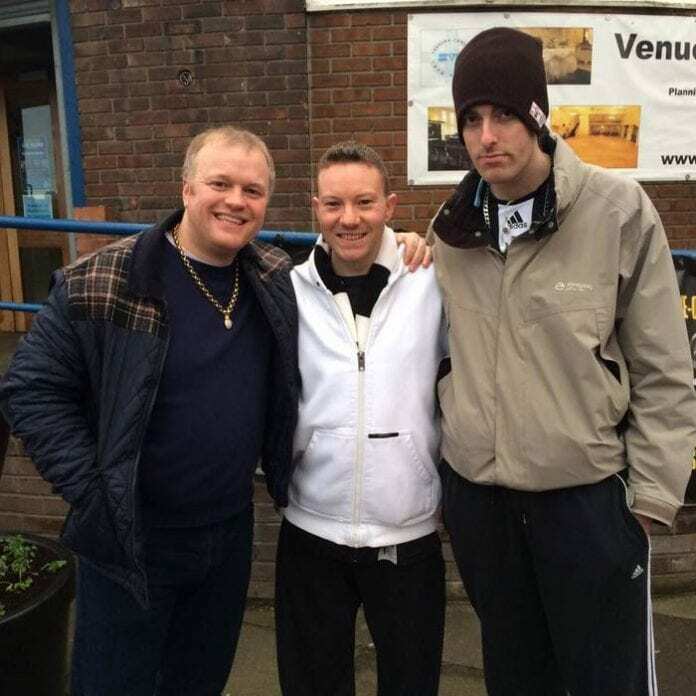 Greg Mclane, who played Sewell in the original movie couldn’t attend filming so Geordie Magician, Chris Cross who also wrote and directed the re-make, stepped in to play the part. & Other Cast members of the movie are all confirmed to attend the event. After the screening, the special guests will take to the stage for a bit of banter with Host & Organiser, Chris Cross the Magician. Expect behind-the-scenes stories, anecdotes and a good laugh with some of our favourite Geordie faces! There’ll be a unique Q&A’s session too, where the audience can ask the stars questions about the Movie. All profits from the screening event will be donated to a few local causes including; Funds in aid of David Whitaker and The Jay Lennon Foundation. ”Purely Belter is one of my favourite films! I’ve been mates with Chris Beattie, who played ‘Gerry’ in the movie, for a while now and we got talking one day about the film. He told me loads of interesting facts as well as funny stories from filming that I’d never heard before and would never have known, neither! 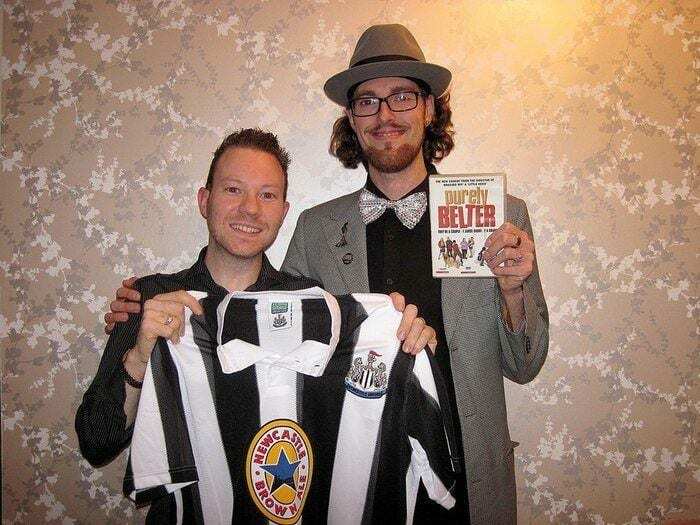 Then, a few weeks later, when I got booked to entertain at Alan Shearer’s statue unveiling after-party, I mentioned the film to Alan and he started recalling parts of it and laughing about him getting his car nicked in the movie! The event will take place at the Blackfriars Ouseburn Cinema who prides itself on being a little different to most cinemas; offering a unique way to experience film. With a dimly-lit table set-up, a traditional intermission and even refreshments delivered directly to the audience seats.